I’ve been waiting like a lifetime for this book and finally it’s here for us to devour! I love love love this series so much!!! First of all, CONGRATULATIONS to Helena Hunting for yet again another spectacular story. I’ve been PUCKED, I must admit, but my heart is forever inked by the Clipped Wings series. 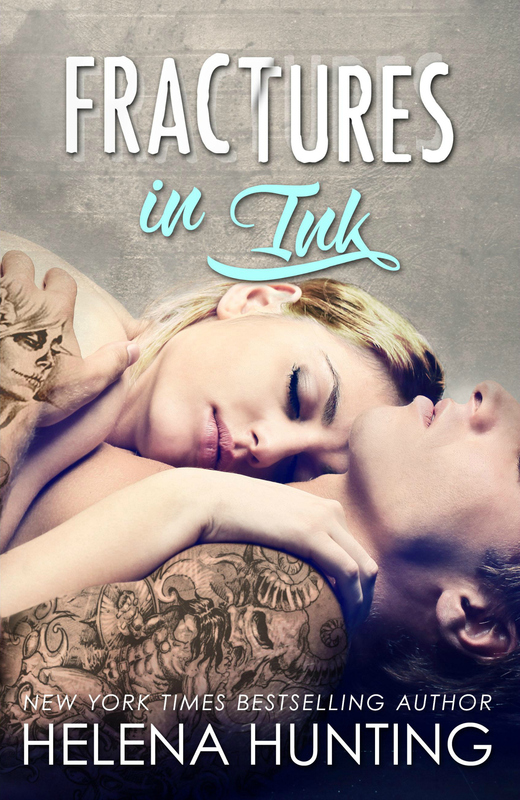 Fractures in Ink can be read as standalone but I dare you to take the plunge and for sure you’ll find yourself checking out the first 2 books in the series–because it’s that GOOD. This is book 3 in the series and the story is about Cris and Sarah. These two are one of my favorite couple. If you want all the feels in your book, don’t miss this one. It’s love, heartbreak, sadness, angst, sorrow, happiness, hope and more love. form of a hot-as- sin tattoo artist who works across the street from her apartment. Chicago, Chris has it together. This entry was posted in Adult Romance, Author Spotlight, Book Covers, Book Crushes, Book Promotion, Book Quotes, Book Recommendation, Book Release, Book Spotlight, Book Talk, Book Tour, Bookish Stuff, bookish temptations, Books, Clipped Wings, Eye candy, Fantasy boyfriends, Favorite Authors, Helena Hunting, My Book Boyfriend, New Release, Romance and tagged Angst, Chris, Clipped Wings Series, favorite author, Fractures in Ink, Goodreads, Helena Hunting, Inked, Sarah, tattoo, TBR.